eview and recap! I am quite aware that it is nearly 4 AM in my time, but I was so stoked and excited, that I wanted it online! So, enjoy! do not know how to exactly decipher this episode. Maybe, it is not allowed to be. Whilst at Arkadia, we see Pike giving a not-so-inspirational speech about the how the land is theirs, and if the people resist, then they will die. Okay, this dude really needs to be floated asap, and it sickens me that he was able to mind control the people who follow him. Well, your pretty words Pike will wan off sooner or later. Kane is disgusted, Octavia and Lincoln are disgusted, and Abby is disgusted. Oh, this is never good. Clarke and Lexa are on horseback, smiling, rejoicing about the death of the Ice Queen (her corpse in the wagon behind her), and chatting about home. Well, that happiness is short-lived when they discovered a pool of dead Grounders. Thank you very much Pike, you truly are a class act. 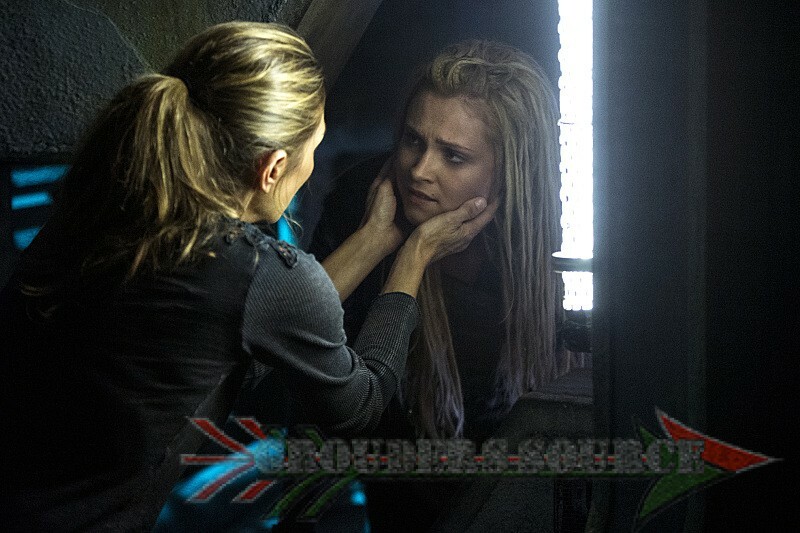 In pure aghast, Lexa and Clarke rush to investigate, only to find that an injured Indra is the only one left. Bellamy had saved her life, but she has a message for them. Pike has rejected the coalition, and proclaimed the land as their own, and that Trikru must leave, or be gone. Lexa declares war with the aid of the twelve clans, on Arkadia. Clarke wants to notify the Skaikru, to find how this happened, but Lexa decided to hold her prisoner. For what reason, I don’t know, but maybe to keep her safe? Fear that Clarke might turn on Lexa? I don’t know, but it is propelling! 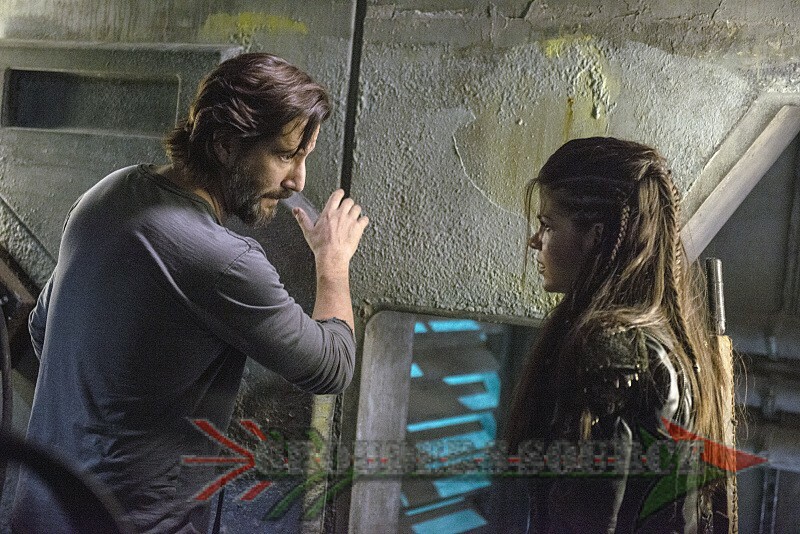 Kane is instructing Octavia to find Indra and to find out what is going on. Okay, the symmetry of these two is beyond phenomenal, and it really shines here. Anyways, since Arkadia is on lockdown, Octavia thinks she will not get out! But, alas! There is a secret door that opens that will lead O right out! So, she tells Kane that she was born for this, and off she goes! She is successful with consulting with Lexa and Indra. Although she is not happy with Clarke, she brings her back to camp. Pike is holding a meeting about building a stronger force, and Bellamy is there. I do not condone with what he had done, but it seems like he is really doubting with his choices, but he is so immense with the brainwashing that he can’t think for himself anymore. He even tells Pike that they gone too far, but Pike dismisses him and gives him back his jacket, and the brainwashing continues! Well, Kane tries to call Bellamy on his dangerous path, but Bellamy just blows him off, and said that Grounders took thirty-seven of their people before he came down. 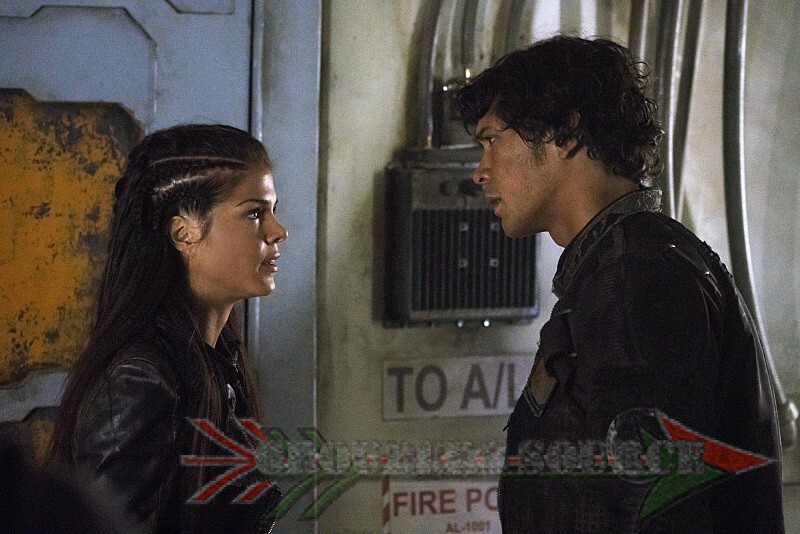 And, Lincoln looks like he is about to punch Bellamy. Oh, my two favorites are eye-to-eye, but I love good drama! Raven charges at Abby about her being fired due to her leg, and is fuming! Abby tells her that her pain can be reduced if she pulled out the hard, physical work. Raven doesn’t want to hear it, but she has no choice. Her leg is not going to get better, sadly. Jaha that he is gone, but Jaha consoles her that death is not the end, and she just gives him the biggest what the hell expression, and at that point, their reunion is broken. Murphy does an awesome job playing dead, and a Grounder tries to swipe his shoes. Emori then takes charge, and after knocking him out cold, steals the Grounder’s cart and all of his possessions. Memori, what a terrific pairing, and she even gave Murphy a kiss! 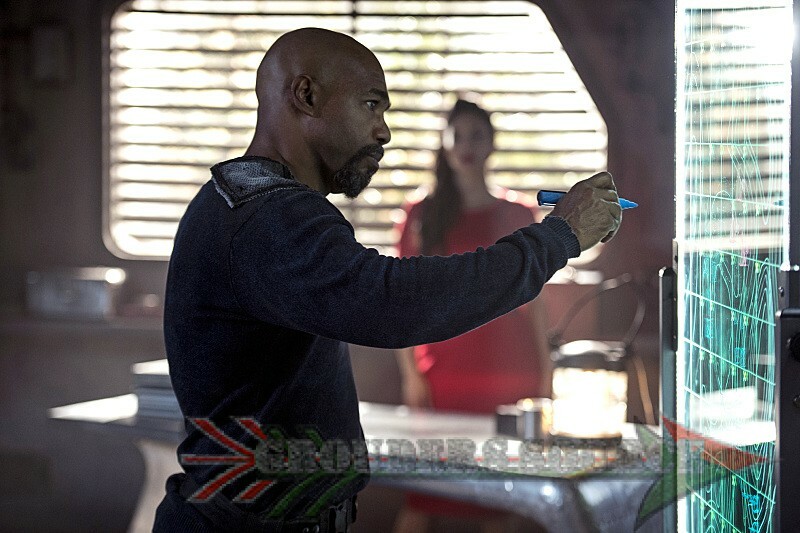 Kane is pleased to see Jaha again, but unconvinced that he found the City of Light. Like Abby is. Then, he tries to preach to Pike about the City of Light, but like the others, is quite doubtful. I was really hoping that Jaha will punch Pike for being such a jackass, but that does not happen. Instead, Pike tells him if he stays out of the way, he can help as many people as he wants. Yeah, that will work. Emori wants to find her brother (RIP in the City Otan), but Murphy is against it. Aw! I think that he doesn’t want to lose her, so she stays. I really like these two a s they seem to balance out the other. Plus, it is about time that a ‘challenged’ female should have a romantic storyline. Often, they are taken advantage of, and it is wrong, but on The 100, this is not the case at all. Pike decides to take over the medical department, and wants to itel the Grounders. Abby is against it, and so is Lincoln. In fact, Lincoln gets into a brawl with Gilmer, and Bellamy warns Lincoln to back off. 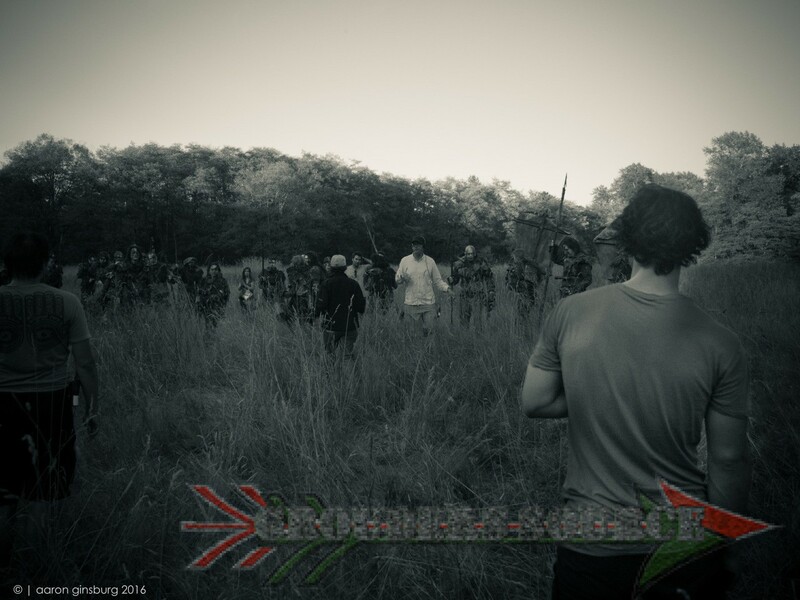 No avail, and Lincoln is arrested and taken with the other Grounders. 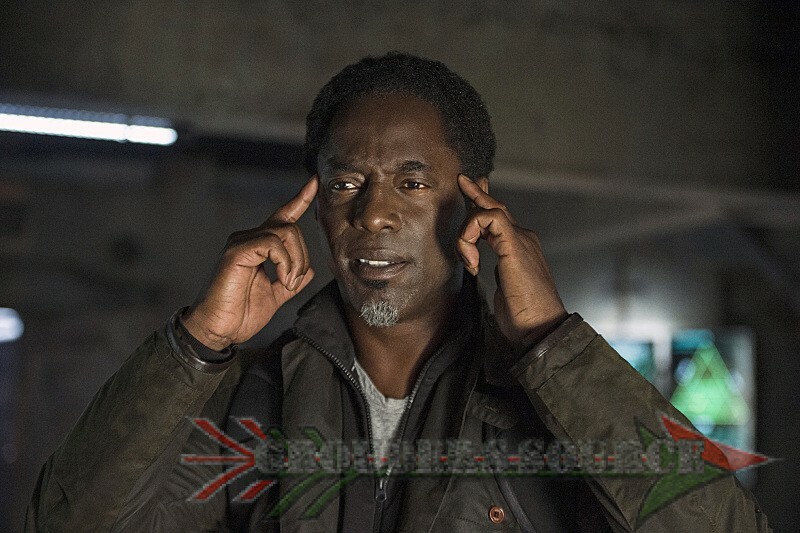 Jaha tries to captivate people into the City of Light, including Raven. She wants no part of it, but A.L.I.E needs her to join, and she addresses Jaha about it. Raven saunters away, and looks back. Jaha tells her that he will be ready for her. 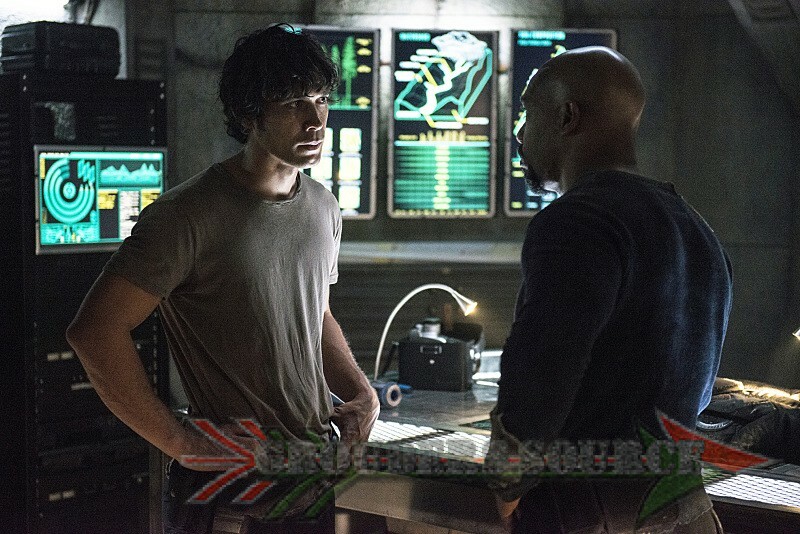 Later, Jaha is once again trying to convince Raven, who is doing a less desirable job of sorting scrap metal to try the City of Light. This is getting quite annoying, and to be frank, I hate being annoyed. But, she will be free of her constant pain, and A.L.I.E knows this. Jaha leaves her a little blue crystal pill, with the Sacred Symbol. grounds prior. Kane and Abby want answers, and Octavia suggests that maybe they should change their ways. Bring Pike down, as he is the monster of all of this. Kane then tells O that she can help Lincoln by going out, and keeping ground on what is going on. Whilst Clarke goes out too, to address Lexa, but asked her mother to come along. Regretfully, she declines, but is confident that Clarke will do well. Emori is frozen as Murphy is threatened to be killed, and does not know what to do. Yet, he still protects her but not giving her away, and drags him off. Emori, go save your man! You two are cute together, and you know it! Clarke meets again with Lexa, and tries at a much more different tactic. Instead of ending the bloodshed with more bloodshed, as her people are known for, she is going to give peace another try. Indra on the other hand is against it, and that Polis and their people will not go for it either. However, Lexa reminds her that the people are her subjects, must not question her, and must have faith in their Commander. “Blood will not have blood,” she says. I am curious to see how this will ride, to see if Polis is loyal to their Commander as she believes that they are. Or the whole thing will go up in smoke. It might go either way, and on a show like this, it really ingrains your mind, and you don’t know for certain which way is up. Raven is in consistent and agonizing pain, and she is not hiding it. Unable to cope with it any longer, she pops the pill and almost instantaneously, is freed. Yet, the hologram of A.L.I.E comes before her, and tell her that she can work again, or something in that matter. I am horrified about this honestly, and to be human, I want to feel something, even pain. To me, those who are lost in the City, are not human, as they do not feel anything. Yeah, I’ll take pain. That wraps up for this week’s recap and review! Oh, my god! The rush of emotions, the feels, and let’s not forget talent overwhelmed me. Everyone deserves an Emmy for their work in Hakeldama, and I was just so compelled. My heart will never heal after this one.